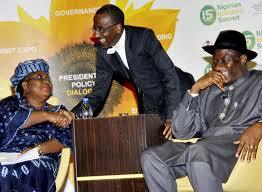 Sanusi’s Suspension: Right or Wrong? Today, the 20th of February 2014, the President’s Spokesperson, Dr Reuben Abati, announced that President Jonathan had suspended Sanusi Lamido Sanusi, Governor of the Central Bank of Nigeria, and had appointed an Acting Governor in his place. Sanusi’s first tenure of 5 years ought to have ended in a few months’ time and he was widely reported not to be interested in a second term, to which he would ordinarily have been entitled. The announcement of his suspension follows recent reports of turbulence between the erstwhile CBN over several issues, including, allegedly, Sanusi’s insistence on the existence of a huge financial remittance deficit by the Nigerian National Petroleum Corporation. (3) The Governor or any Deputy Governor may resign his office by giving at least three months’ notice in writing to the President of his intention to do so and any Director may similarly resign by givingat least one month’s notice in writing to the President of his intention to do so. (b) any Director, the appointment shall be made in the manner prescribed by section 10(1) and (2) of this Act. If we look at 11(2)(f), which was highlighted, I believe we can conclude that the President has taken a legitimate first step in removing Sanusi from the position of Governor. However, the removal is what we lawyers like to describe as “inchoate” until it is ratified by a two-thirds majority of the Senate. Can Senate President, David Mark, deliver a two-thirds majority to the President, to rubber-stamp Sanusi’s removal? One is confused with all the defections and cross-defections in the National Assembly of late, but we will just have to wait and see.